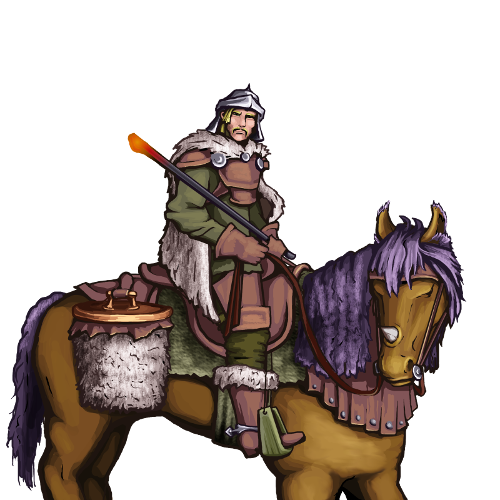 The mounted patrol of the northern kingdom ride the massive equine peculiar to the frozen north, and carry a pannier of smoldering coals. They use the coals to keep warm on their long patrols, and also to heat branding irons. The irons are intended for marking animals as the king's property, but they also make decent weapons.